Boost your home’s curb appeal and get ready for summer! "We had the pleasure of working with Spotless to pressure wash the exterior of our new home. Our house had been vacant for a while and there was quite a bit of debris (spiderwebs, etc) outside. Not only were they wonderfully communicative, but I actually enjoyed every interaction with each and every person there! 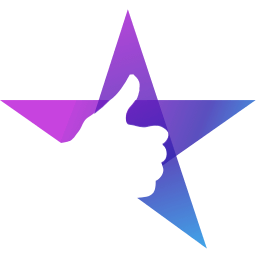 We would absolutely recommend them to anyone, and hope to work with them again soon!" It’s the weekend, you’re having guests over and your vinyl siding could use a good wash down. To save a little money, maybe you knock on your neighbors door to ask if you can borrow their pressure washer or you go out and buy one yourself — it’s natural that we all want to try and do home cleaning ourselves. But for the safety of you, your family and for the protection of your home, please make sure to use a professional, licensed and insured pressure washing company. At Spotless Power Wash, we have over 10 years of pressure washing experience. From understanding how much pressure needs to be applied to various surfaces to knowing how to protect your plants from the wash, we’ve got the knowledge and tools to get the job done right for you the first time. We are fully licensed and insured too, so you can have peace of mind knowing that your property is covered, no matter what. Why trust Spotless Power Wash to help you feel proud of your property’s exterior? 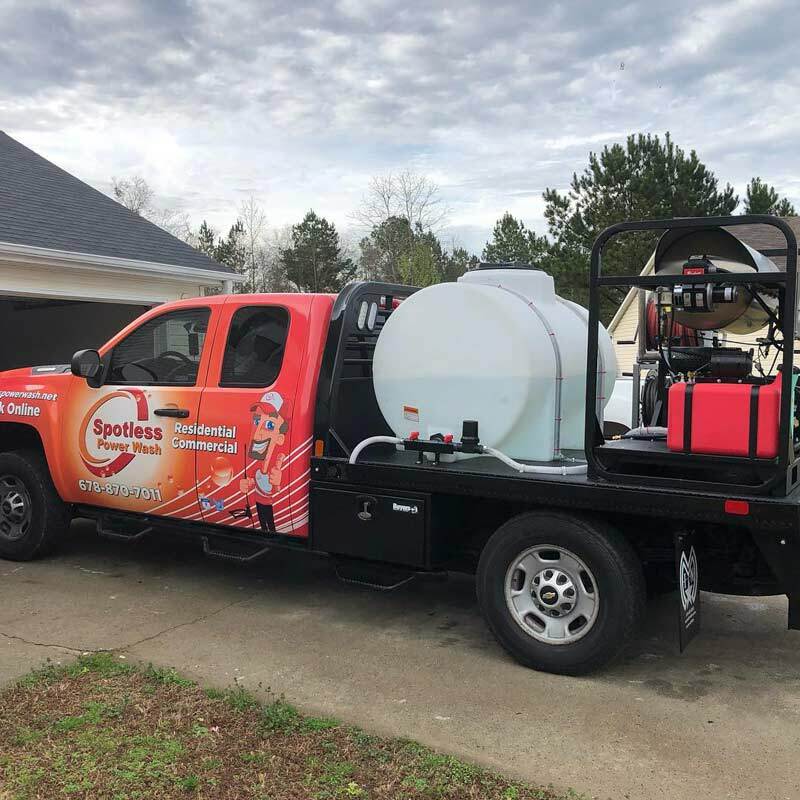 When you go out and purchase your own pressure washer, although you may think you are saving money, what you could actually do is blow a hole in your home’s vinyl siding or leave your driveway with stripes rather than the spotless result you were hoping for. Even worse than damaging your home, it's dangerous for you and those around you to use such a powerful piece of equipment, without having any experience. After doing this for over a decade, we can tell you that it’s not worth the risk. 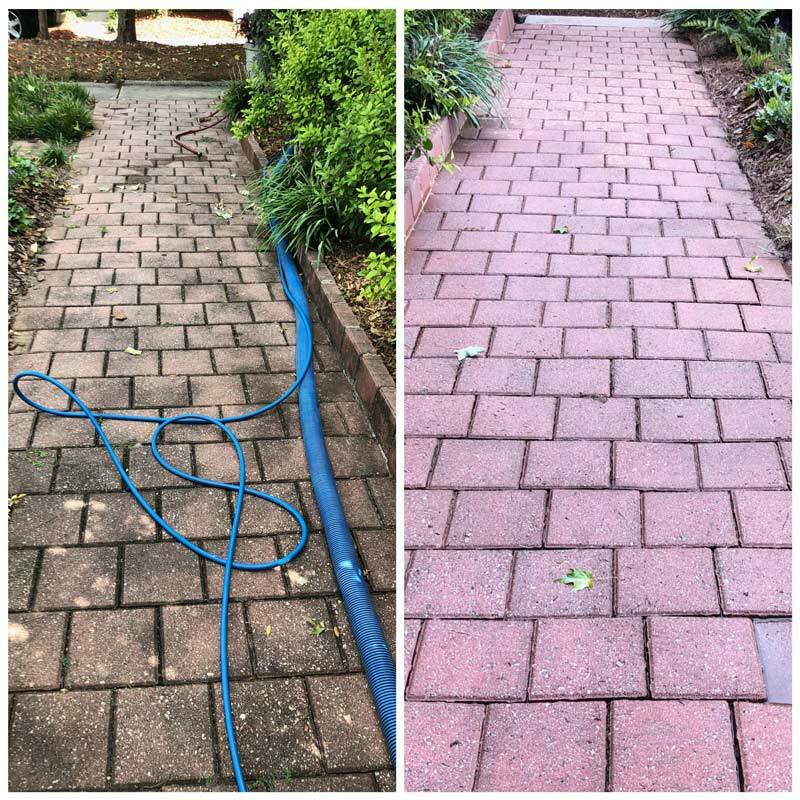 With our years of experience, it also means that we can do a thorough job in a lot less time — we can come in and pressure wash your home exterior in two hours. This saves you a weekend of trying to do the job yourself, along the days of stiffness and aching after operating the equipment. "What a pleasure dealing with a company that really cares about their customers! Scheduled an appointment for 10am and Rob arrived right on time. VERY nice guy who explained the entire procedure. Great pressure washing job on our 2 story removing all algae accumulation. Pam called late afternoon to ensure everything was ok and if we had any concerns. Will definitely refer this company to relatives and friends!" Having the tools of the trade certainly helps. We use a professional super-heated truck mount system which can pump 8 gallons of water per minute and has a heater installed. Too much pressure can not only damage your vinyl siding, it can also damage your concrete too. Having heat can be a lot safer to your concrete and it is excellent in removing those gum and oil stains! When soft washing your house, we make two full passes around it. On our first pass, we’ll lay down a foam wash to get rid of that nasty mold and mildew. Then, we come back around and rinse. If you home is a little older, we can also use some brightener which will help to make the color pop again! Along with house washing, we also wash your concrete and decking, understanding the different pressure and cleaning solutions needed for both. That green slimy stuff on your deck is a slipping hazard. We’ll make sure that is removed properly so you can get out and enjoy your garden ready for the summer! If you would like to have your property exterior cleaned by a licensed and insured professional, get in touch with us today! If you are not satisfied with the job completed, we'll come back within 7 days for free!